She was a freshly minted Palm Beach Gardens High School graduate with a full scholarship to Washington and Jefferson College and who had plans to become a medical doctor. However, before packing her bags and leaving her South Florida roots for the private liberal arts school in Pennsylvania, she got a head start on College at PBSC through Fast Break taking courses in the summer before starting her freshman year. “At the time, I was a premedical student, but I always knew the goal was to help people. 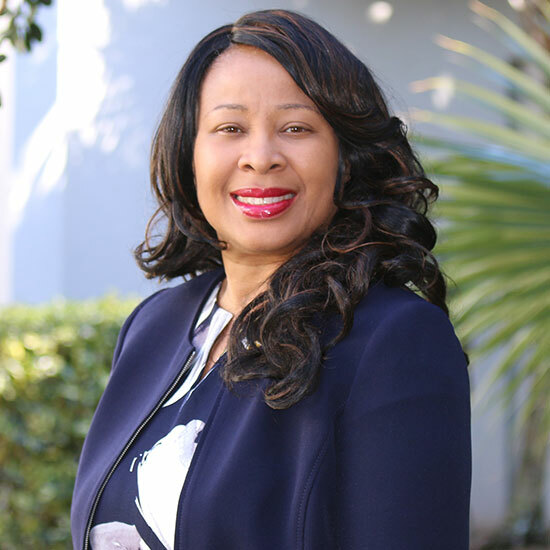 Although I decided not to go to medical school, I’m living my dream because I’m helping all people reach their goals,” said Coleman-Ferrell, who is the new provost and dean of student services at the Palm Beach Gardens campus and among the newest members of President Ava L. Parker’s executive leadership team. Coleman-Ferrell was appointed to the role last December after spending 20 years at the Boca Raton campus as a professor and administrator. Her path to get there is partly what drives her passion. After losing both of her grandfathers during her freshman year at Washington and Jefferson, she returned home and enrolled in fall 1991 at Florida Atlantic University, which also had offered her a full scholarship. She eventually earned four degrees from FAU: a bachelor’s degree in sociology, master’s degree in public administration, an educational specialist degree and a doctorate in education. Her career also blossomed. She joined the College in 1998 as a professor of teacher education after working more than two years as a middle school teacher of business and computer application classes in Broward County. She served as a department chair for six years and associate dean for four years before being promoted to dean of academic affairs at the Boca Raton campus in 2015. 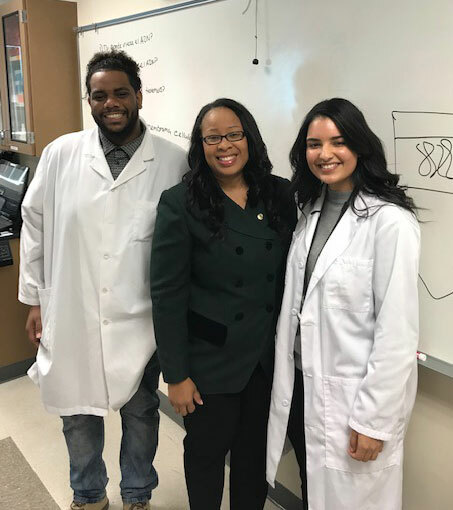 “It’s a wonderful opportunity for me to be able to pay it forward and give back to the younger people in my community,’’ said Coleman-Ferrell, noting that she also attended elementary and middle school in Palm Beach Gardens. She began her new role as her one-year term as president of the Association of Florida Colleges was ending. She has spent her first months getting to know more deeply the students, employees and leaders on the campus and in the community. She has already implemented several initiatives and events to help engage the community and students. They include hosting an upcoming signature event to encourage community members to become ambassadors for the campus, working closely with local chambers, supporting career readiness initiatives with businesses and mentoring students through creating opportunities like Pizza with the Provost in which students can discuss hot topics on campus over lunch. Dr. Coleman-Ferrell, your story warms my heart. Congratulations and good luck on this new journey!! Dr. Ferrell, we love you and are proud of you too! You have been the best mentor and friend over the past 17 years, I wish you nothing but success and happiness! Dr. Ferrell, You are proof that good things come to those who are willing to sacrifice, to reach a worthwhile goal. Congratulations to you, on your your new endeavors. Best wishes and great success on this new journey! What an inspiring story! Dr. Ferrell, it was a pleasure working with you here at the Boca Raton campus. The Academic Affairs team misses you but we are very happy for you! Best of success on this new journey!